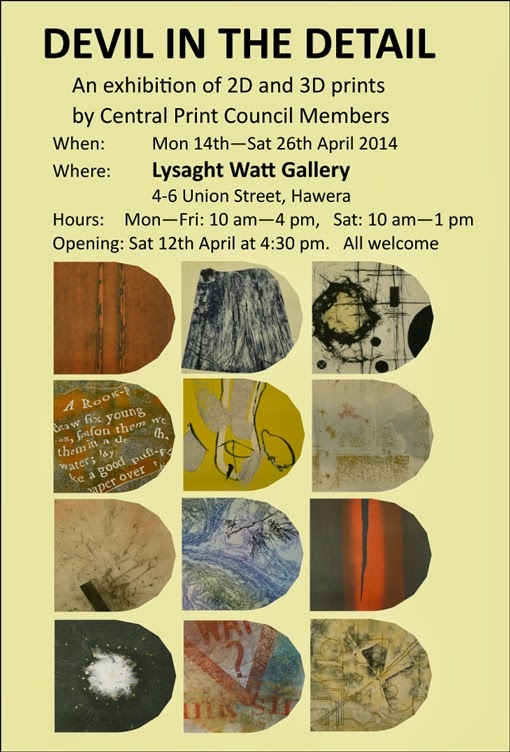 from 10am-4pm on Saturday 10 May at Wharepuke Print Studio in Kerikeri. and founder of the Wharepuke Print Studio. The workshop will cover acrylic resist etching with copper or aluminium. You can decide on the day. resists are acrylic co-polymers and etching takes place in metal salt solutions. safely removing resists, as well as inking and printing with Akua water-based inks. No experience necessary and all materials will be provided, including tea and coffee. You might want to bring your own lunch, but there is also a cafe on site. Cost for the workshop is $130. so thought I'd better give you a guided tour of their Print Workshop. ranging from undergraduate to post-graduate. The main large workshop caters for screenprinting as well as relief & intaglio printing. There is another large workshop space for etching and all the letterpress equipment. A smaller room across the hall contains lithography workshop. The Relief & Intaglio Printing Area is half the main studio. There are 4 glass-top tables 1.2 x 2.4m each & glass-topped benches. These make cleaning up much easier! so this area can comfortably accommodate up to 16 students when teaching workshops. There is an 'island' dedicated to paper preparation: storage and cutting. 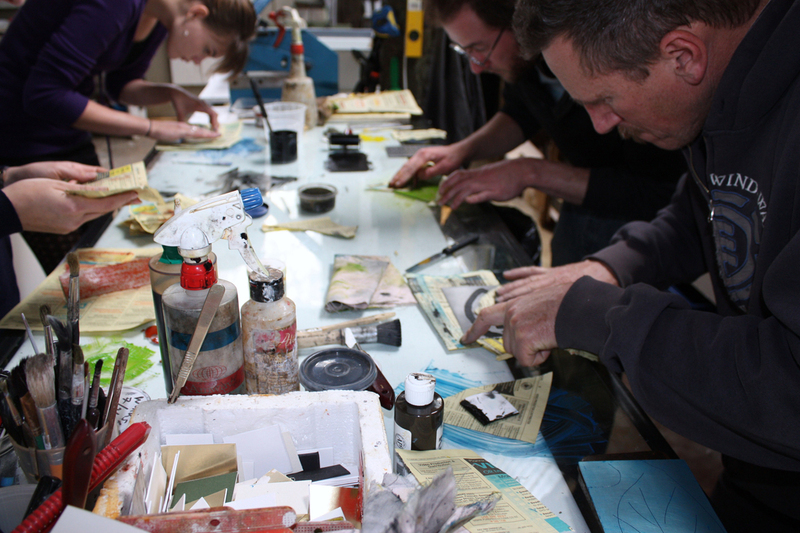 The other half of the main Print Workshop is dedicated to screenprinting. enables students to work independently on screen processes. and a room for applying and drying photo-sensitive screen emulsion. with removable padded fabric boards on top of the tables. This area can also accommodate up to 16 students when teaching workshops. I also implemented a screenprint ink-mixing area, one side for paper inks, the other for fabric inks. Plastic spatulas may be stained by dyes, but means less wastage and are cheap to replace (50c each). Due to limited airflow, preference is given to non-toxic eco-friendly water-based products whenever possible. For fabric printing, dye concentrates are mixed with a clear water-based print paste to make any colour. Accurate scales are used to measure recipes, making this much more economical than buying pre-mixed. 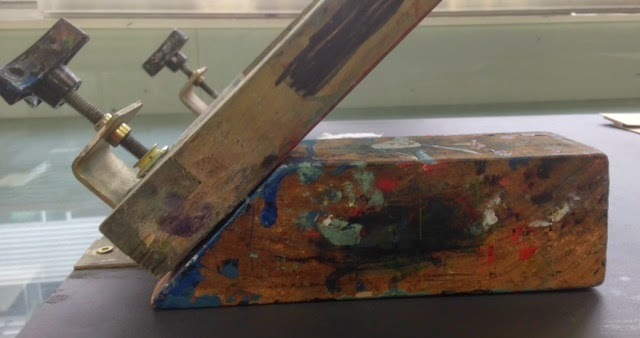 There is a 4-colour carousel, which students use mainly for printing t-shirts. A vinyl cutter and a heat press, used for transfers and heat-press vinyl on t-shirts and textiles. AUT Print Workshop has a large selection of squeegees for students to use. There are 4 of these holders; one rack for polyurethane squeegees, and 3 in various widths for rubber ones. These holders are useful for storage and drying, as they ensure blades are not dented. There are also of these 10 vacuum tables which are ideal for printing artworks or posters on paper. Find an old board, benchtop or table top that has a very smooth surface. so the screen doesn't move while you are printing and to help with registration of multiples. A block of wood with the end cut at 45 degrees will hold your screen up while changing paper. but there are 3 in the main Printmaking Workshop for cleaning screens and squeegees. useful for reducing noise and lessening splash-back, which is great for beginners! In a separate room down the hallway, there is a lithography workshop. Although not used often, it is well-equipped with 2 large litho presses and stones. Across the hallway, there is another room which houses both letterpress and etching. an antique metal guillotine and 2 large etching presses. (often using 3mm wood or perspex which is adhered to a backing board). which I was told was used to print the first postage stamps in New Zealand! 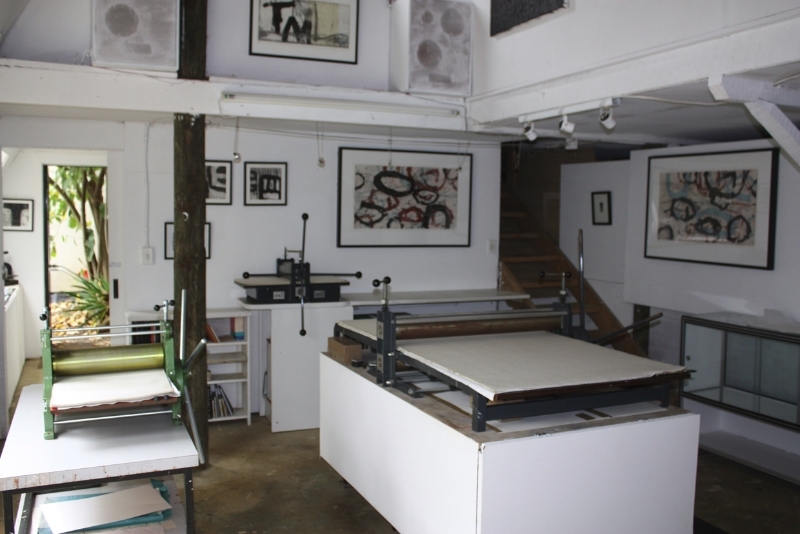 As you can see, it is a very spacious and well-equipped (and much coveted) printmaking space. Unfortunately it is not available for public use, and there are no short courses. Has this made any of you printmakers a little green with envy?! Contributing artists James Pasakos and Anne Langdon will be attending the opening event. living in the Goldfields region of Victoria, Australia, who predominantly work in field of printmaking. was a co-founder of the group. 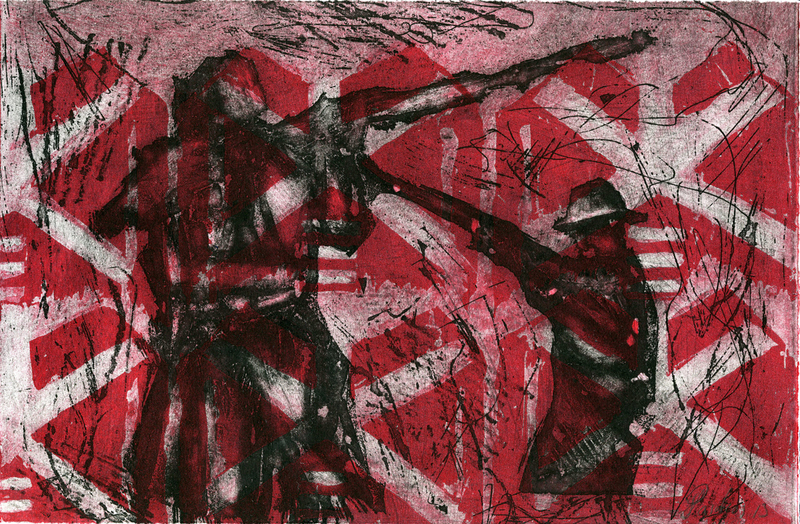 whilst participating in the IMPACT 7 international printmaking conference in Melbourne in 2011.
to provide a portal through which dialogue and diversity can evolve in a supportive and enriching environment". and in August 2013 travelled to Dundee, Scotland, for IMPACT 8. Art at Wharepuke is pleased to now present the show to a New Zealand audience. 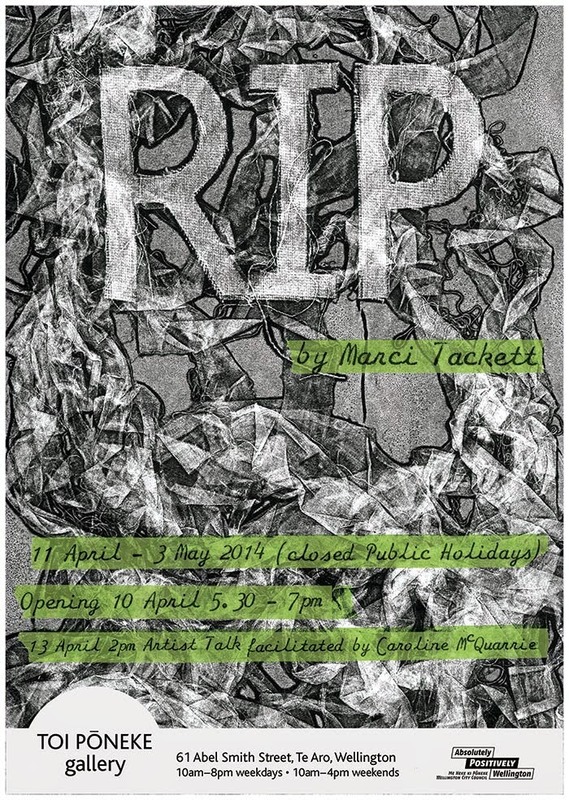 14-26 April - Opening on Saturday 12 April at 4:30 pm. including the legendary NZ Printmaker Marty Vreede. grown and used by people in every inhabited part of the Earth. The hue, or gourd, was the first cultivated plant grown in Aotearoa when Māori settled this land. The seeds of the hue were brought from the Pacific Islands, along with other important plants. Tahā, containers made from hue, were used as water vessels and for preserving food. They were essential for survival on the long ocean voyage to Aotearoa. Hue were traditionally used as fishing floats on nets, and as flotation aids in swimming. 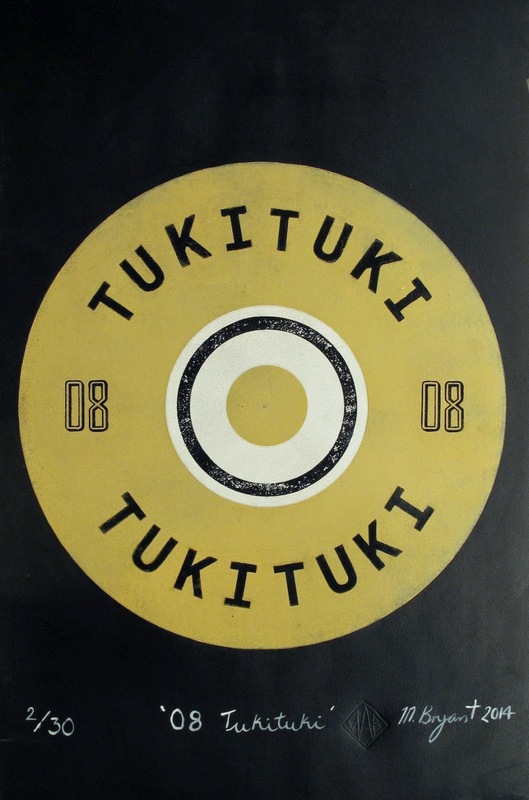 Hue are also used for a range of traditional Māori musical instruments. at Toi Poneke Gallery in Welington. There is an Artist Talk at 2pm on 13 April. It will be on display until 3 May. 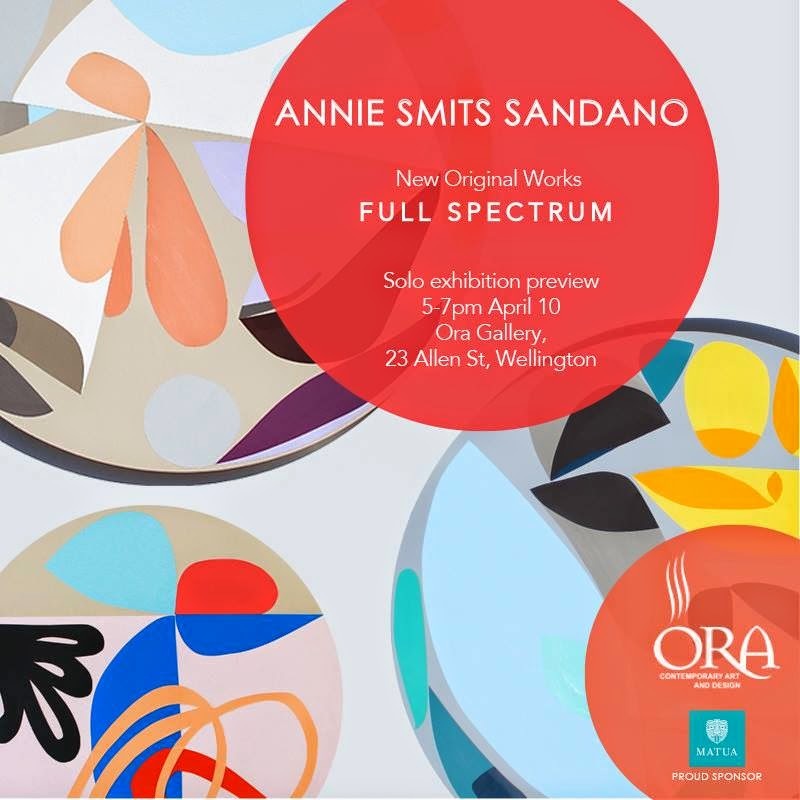 opens on 10 April at Ora Gallery in Wellington. All new originals and one-off prints! 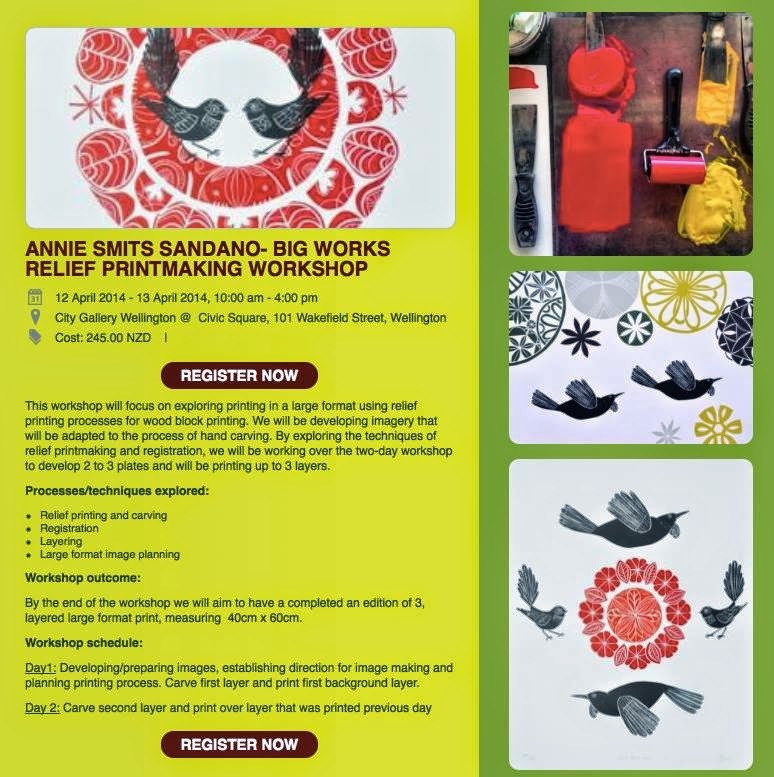 Remember also that Annie is teaching a BIG WORKS Relief workshop this weekend. 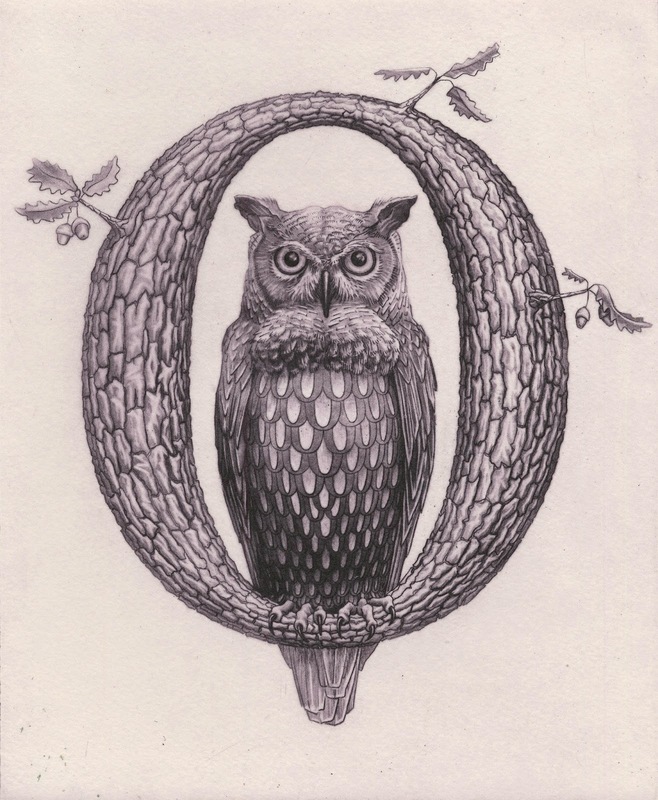 Mark Graver's exhibition Umbra Sumus will be shown at James Wallace Gallery in Morrinsville. Opening on Wednesday 9 April 6-7:30pm, the exhibition runs until 6 May. Umbra Sumus is an ongoing project begun in 2013.
and to the universality of passing time. 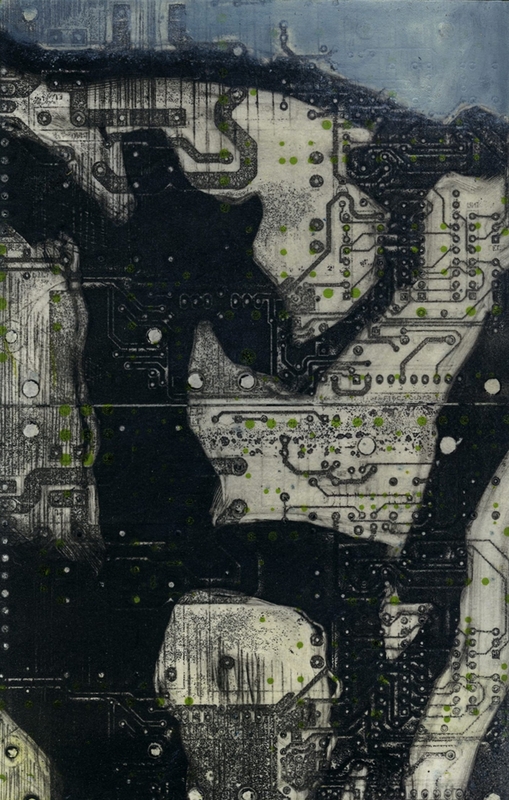 the main body of the project is made up of photo-polymer and acrylic resist etchings each 200x200mm. Video and sound works complement the prints.